I was quite excited about the first sewing challenge and knew straight away what I was going to make. But, then I became paralyzed with fear in actually cutting it. I thought I should have a few options as back up in case my fears got the best of me. First off I have an apron that I made from fabric that my mom recently gave me from the 70’s or 60’s. 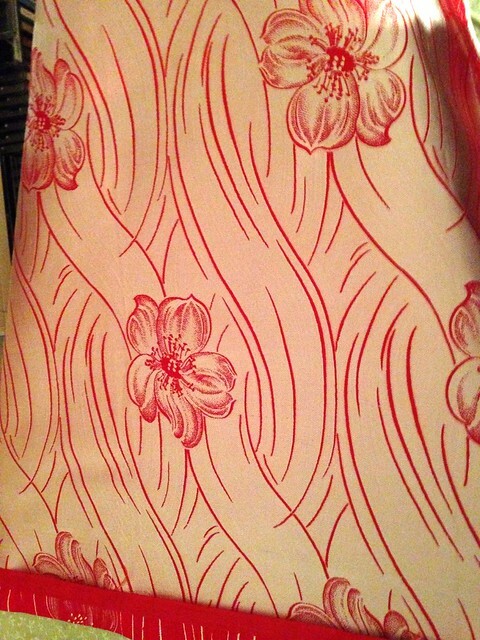 I remember this fabric well. My mom made my older sister a dress with a Humpty Dumpty appliqué on it as well as a matching purse. I remember getting the purse later (most likely I just took it). I didn’t have much left and I thought an apron was perfect. This apron I will use, and every time I’ll think of my mom and sister in her Humpty Dumpty dress. 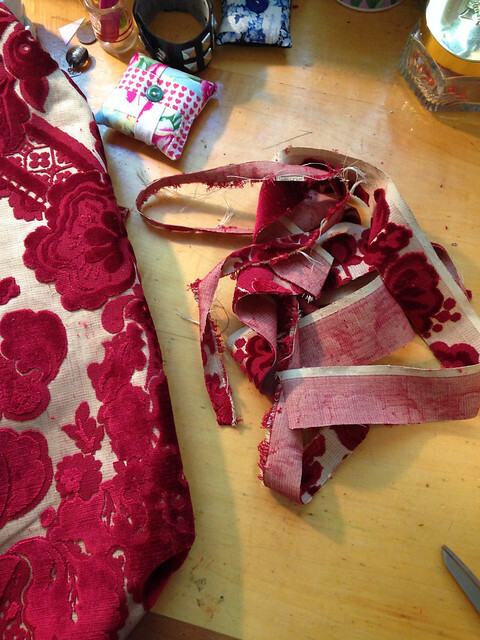 Second one is an antique lush cut silk velvet damask upholstery fabric remnant. It has floral pattern and scrolls through out. The velvet is very thick and still has a nice raise to it. I bought it at an antique show, the dealer was very vague about where he got it (they don’t like to reveal their sources) but I no doubt believe it’s from the 40’s or 50’s. The moment I saw it I knew it had to be a pillow. 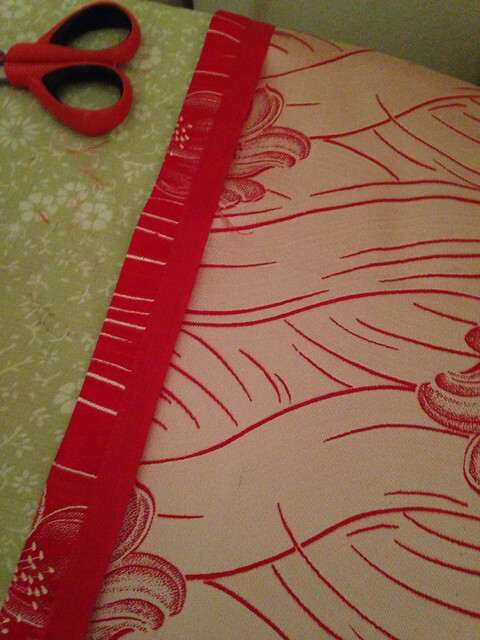 This pillow form is 20″ x 20″ and I only needed to square it up so I didn’t lose much of the fabric. I’ve had this in my stash for about 15 years give or take. I added the trim and a complimentary fabric for the back. This pillow will probably never see the light of day after today. With two boys who care a fig about silk or velvet, I’m not sure where I will put it. Last is this piece. 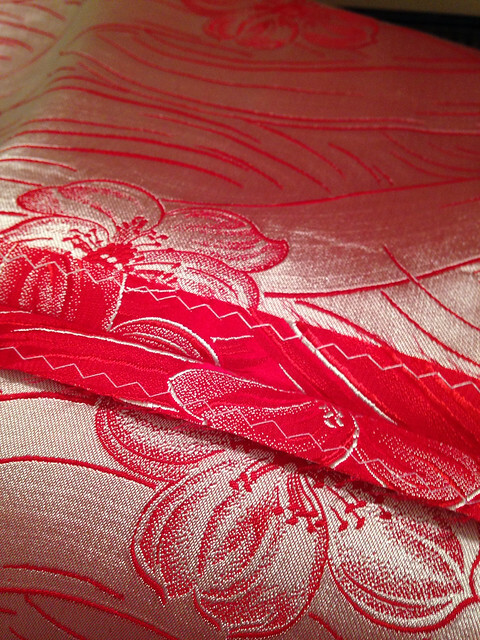 This was the fabric that made me feel completely inept. It’s a silk brocade, from another antique show. Not sure of its actual age but I’ve had it close to 20 years. I never wear bright red near my face so I always had a skirt in mind for this. You can see the reverse is just as beautiful. I used Burda 8155. I thought the fabric should really shine here so I didn’t do any flounces or flourishes, just a basic darted skirt, plus there isn’t much here only a yard or so. This skirt is VERY fitted. It’s almost a wiggle skirt. If my thighs get any bigger I will need to take it out. On Jamies’ recommendation I lined it. The lining is a white silk I had in my stash, again from my mom. She bought the most amazing silks when she visited Lake Como, Italy and she gave them to me along with the apron fabric above when she was cleaning out her studio. 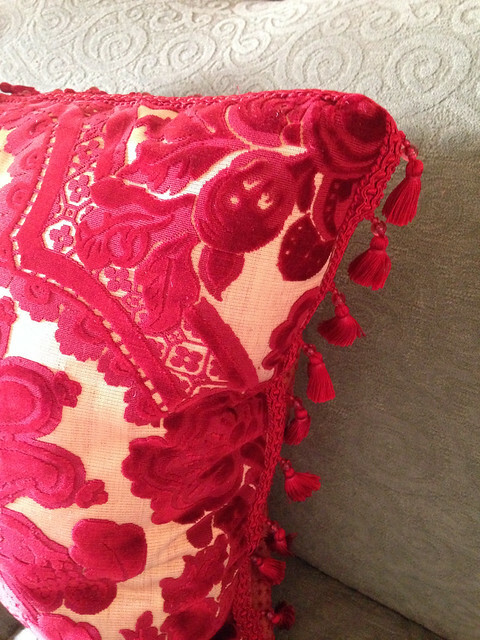 Tip: when collecting vintage silks and brocades roll them up using gift wrapping tubes to avoid fold creases. 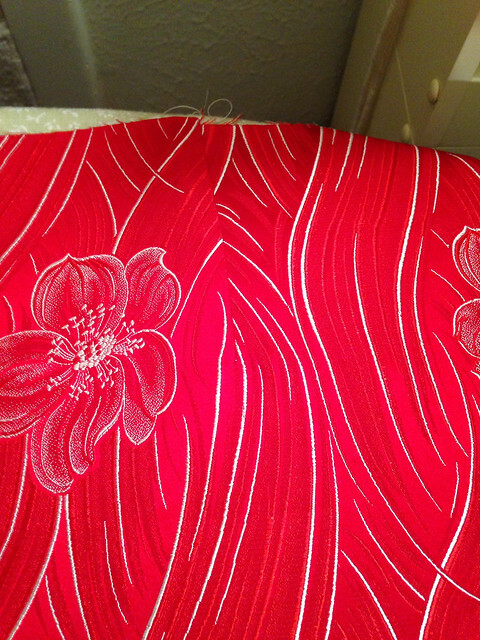 I sewed French seams on the lining and a pinking and zig zag finish on the skirt with a back invisible zipper. I went into sewing this like astronauts preparing for lift off. Unfortunately I have no blouse for this that’s why the cropped photo. I’m going to wear this at my moms birthday party in January. Enough time to make something appropriate. The result is absolutely beautiful, I’m so proud of it though. And, it feels so good to finally use these fabrics! Remember the first cut is the hardest! Jill, these look beautiful. I love the fabric for the skirt and it’s lining. And, I think I remember the fabric of your apron ! Our moms sure had good things in their stashes. Wow, you were ambitious! The skirt is perfection and you need to put that pillow in a display case or something. There we go. Perfect solution! Wow, Jill that skirt is gorgeous on you, and so elegant! It looks like the fit, as well as the sewing, is perfect. I can’t believe you made 3 things for this challenge!!! And all 3 turned out so beautifully… Well done! Thanks Kitty and Jan. The fit is very snug. It’s almost a wiggle skirt but I do have room in the seam allowances if my thighs gain any weight! Now I need to save some wrapping paper tubes. Great tip. Wow, THREE projects! Thats some guts. How wonderfully they all turned out. Your skirt reminded me about a meter of brocade I bought in Asia that needs to be made. Lucky for my sewing list that I have no idea where it is. Love the skirt! Hope to see you wear it one of these days! I love all of your makes. 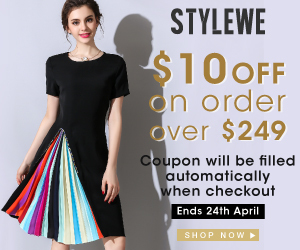 The skirt is beautiful and the pillow is absolutely exquisite! Lovely, lovely sewing. I like what you’ve done to the fabric, excellent results! It was kind of like jumping off the high dive as a kid. But, then freedom!